It’s time once again for my annual roundup of some of the best books I read this year. As usual, my focus is on non-fiction tales from the world of science, medicine, and technology. A master list of all books that I recommend can be found here, and you can also check out my previous book recommendations from 2017, 2016, and 2015. Coarse adjectives get tossed around the political arena as politicians and pundits try to score points with their supporters. This person is a moron, that one’s an idiot, and so and so is such an imbecile. These three adjectives are nowadays used as interchangeable insults, but what most people don’t understand is that these words used to have distinct scientific definitions in the (now discredited) field of eugenics. Eugenics, which was purported over a century ago to be a legitimate science, was later recognized as nothing more than a house of racial and ethnic bias constructed on a shaky foundation of non-rigorously collected “data” that didn’t stand up to careful scrutiny. “Data” were found and adjusted to fit this theory, rather than gathering up facts and then building a concept around them. 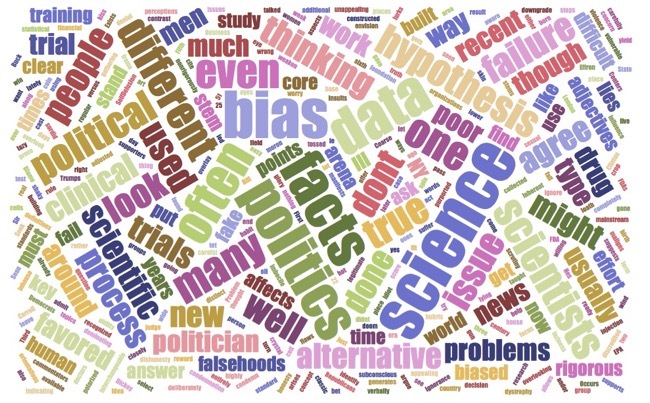 Bias often lurks at the core of the thought process used by both politicians and scientists. Before going further, let me be crystal clear about one thing: while both groups suffer from biased thinking, it manifests itself in completely different ways. Is Pharma Really Facing Its Demise? A widely reported op-ed piece recently predicted the upcoming financial demise of the pharmaceutical industry. Some have opined, “there’s nowhere to go but down.” While it’s true that the industry faces strong headwinds (many of its own making), I don’t think it’s going to fold anytime soon. Reports of its upcoming demise are, as the saying goes, greatly exaggerated. There’s been an uptick in drug approvals in 2017 (the highest in over a decade), and some of the newest drugs cost upwards of half a million dollars or more. Global sales of biopharma medicines jumped 45 percent from 2006 to 2015. Cancer drug sales in particular are soaring. New biomedical innovations, such as CAR-T immunotherapies and gene modifications using the CRISPR-Cas9 system, appear promising to help treat mankind’s ills. Let’s take the long view: how has the industry expanded and flourished over the past century? I was recently reading the centennial issue of Forbes, which listed the top 50 U.S. companies (ranked by market cap) from 1917, 1967 (the magazine’s 50th anniversary), and 2017 (100th anniversary). Comparing these time points provides a fine illustration of just how financially successful the pharmaceutical industry has become over the past one hundred years. So What Did the March for Science Accomplish? With this historic event only a week behind us, it’s going to take time to figure out if the March for Science accomplished anything significant. Part of this is due to the fact that its stated goals were rather diffuse. Data, of course, needs to be collected, sorted, and analyzed, which will happen because the March was studied by a slew of sociologists. Turnouts at the more than 600 marches worldwide were high, with enthusiastic crowds displaying a diverse cornucopia of signs and slogans not usually paraded about in public. As far as I can tell, the marches were uniformly peaceful affairs, with no counter protesters demonstrating in favor of “alternative facts.” I also saw a number of people sharing religious points of view, happily conveying their opinions that one can believe in both God and science. There was even a group of Satanists marching; I didn’t know until visiting their website that they, too, take a pro-science stance. If you haven’t heard yet, there's going to be a nationwide March for Science on Earth Day, April 22nd. This includes a primary March in Washington, DC, as well as “sister” marches around the globe (at least 320 cities have already signed up). I’m planning on marching here in Seattle, and I’m writing this to encourage others to participate in whichever March is most convenient for you to attend. 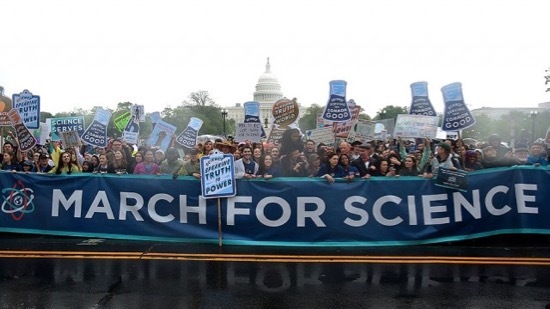 The March for Science is being supported by a number of prominent organizations, including the American Association for the Advancement of Science, the Union of Concerned Scientists, and the NY Academy of Sciences. Not all scientists think the March will be helpful (and some have voiced that it could even be harmful), but I’m not in that camp for the reasons I’ve outlined below. Science is a search for truth. I work in the biosciences, where it’s all about understanding the mysteries of life. Our days are built around generating hypotheses and then working to accumulate sufficient data to either prove or disprove them. As scientists, we enjoy problem solving and finding out new things, both expected and unexpected. Our careers are (or should be) built around always doing something novel, because once something hidden is revealed, it’s time to move on to tackling the next riddle. Some of us relish a focus on basic science, while others work in the realm of innovating practical applications for what we (and others) have discovered. One could hardly ask for a more rewarding vocation than that. Can Changing A Biotech Company’s Name Really Alter Its Fortunes? Shakespeare tells us that a rose, by any other name, would smell as sweet. Its alluring fragrance is a quality independent of what we call it. Is the same thing true in the land of biotech? Would changing its name really free a biotech company from an established reputation as a substandard performer? Or is changing the name of a company simply pretending to solve a problem, equivalent to putting air in one of the tires when the check engine light comes on?